Here’s what I found interesting though. Last week, Showman and I had the chance to chat a bit with Bill Frieder. If you watched the ESPN 30 for 30 on the Fab Five… you know who Bill Frieder is. He was the head coach of Michigan that recruited most of the Fab Five. Their freshman year was 1992, and by 1989, while in high school… Chris Webber, Jalen Rose, and Juwan Howard were already committed to go there, not officially, but they were. If memory serves, Frieder had Jalen Rose in his basketball camps since 5th grade… and he was the only college coach in attendance at Chris Webber’s first high school game. You know the story from there…Bo Schembechler, the Michigan Wolverines Athletic Director, finds out that Frieder accepted the ASU head coaching job for the 1990 season, and the night before the NCAA tournament, he fires him. Enter Steve Fisher, his assistant coach, who takes over to coach through the tourney and wins the whole freaking thing. National Titles for Steve Fisher: 1, Bill Frieder: 0. Many still believe that this year’s tournament will prove Steve Fisher’s worth…and if he can win this year, it will be with his team, not Bill Frieder’s. I think that’s rubbish, they are both great. 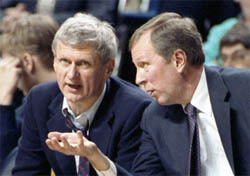 In fact, even today, they are both great friends, and Bill Frieder is viewed as the driving influence that convinced SDSU to hire Fisher in the first place. Anyway, full circle. During our talk with Bill Frieder, the question came up… “Who is the best basketball player ever?” His response was so fast, he must’ve answered that question a million times. “College? 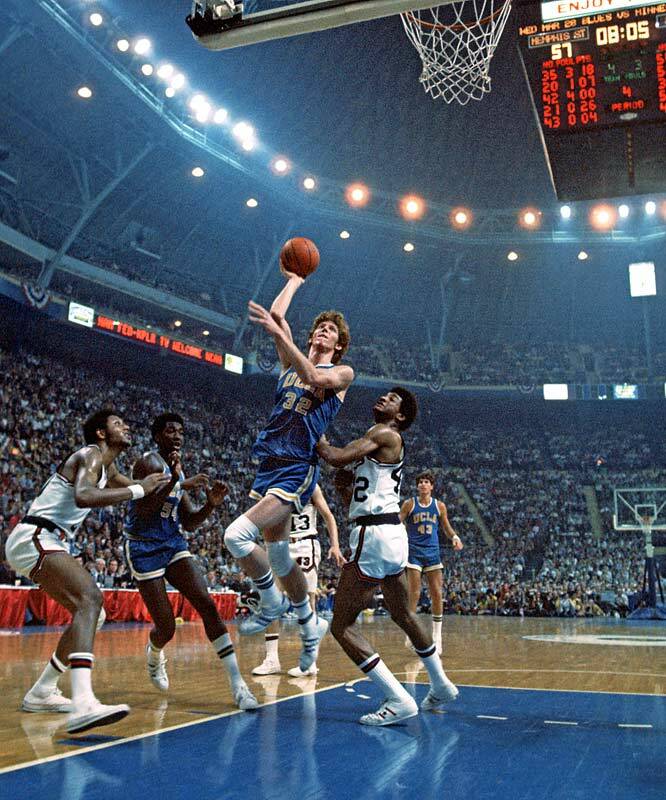 Bill Walton. NBA? Michael Jordan.” Interesting, right? 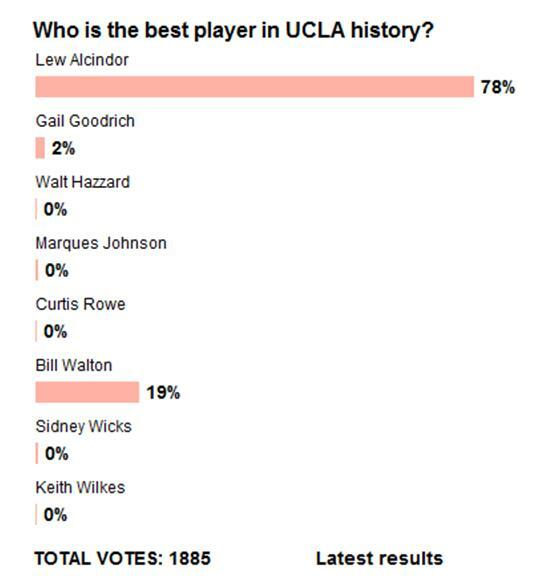 USA Today runs a poll and Bill Walton isn’t even the best player on UCLA… Bill Frieder has him to the best to ever play college basketball. 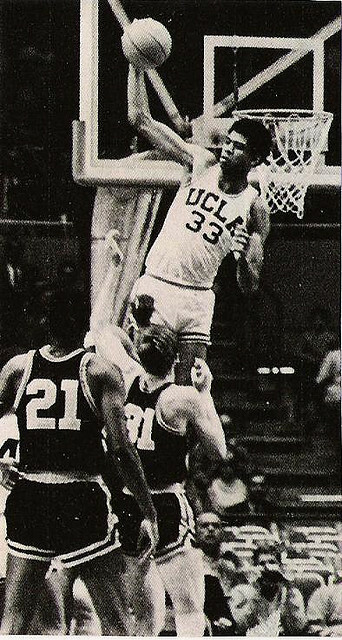 This entry was posted in Basketball, NBA, NCAABB and tagged Aztecs, Best College Basketball Player Ever?, Bill Frieder, Bill Walton, Bo Schembechler, Chris Webber, ESPN 30 for 30, Fab Five, Jalen Rose, Jordan Farmar, Juwan Howard, Kareem Adbul-Jabbar, Kevin Love, Lew Alcindor, March Madness, Michael Jordan, NBA, NCAA tournament, O'Bannon brothers, Russell Westbrook, SDSU, Steve Fisher, Tyus Edney, UCLA Bruins. Bookmark the permalink.